It is recommended to those who will work for or do business with a Japanese company or a Japanese-affiliated enterprise to watch this course. You will be able to learn how to bow, exchange your business card, communicate with your superiors, take a seat at a meeting room and how to receive a drink from another person. This material is helpful for those who do not have confidence in whether to put business manners into practice in daily life. It is also helpful to review because it includes general business manners. 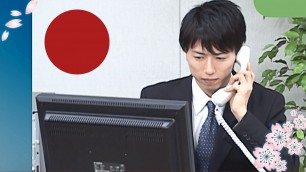 Let's communicate with others smoothly by acquiring the Japanese business manners with this material.